Mattresses contribute so much to our lives as they have an impact on how comfortably we sleep. Moreover, they also have an influence on our bones in the long run and inappropriate foam or mattress can cause serious physiological issues. This is why it is important to have some awareness about the types of mattresses and mattresses in general so that you can understand how to choose the right type for yourself. Here are a few other advices regarding mattress that can be helpful. First, know that no matter how expensive mattress you buy, they will expire after 7 to 8 years. Bad quality mattresses only survive 3 to 4 years. However, no mattress can be used longer than 8 years and it should be replaced after this duration. Otherwise, it can cause harmful impact to the health of the users. So no matter the quality or the type of the mattress, consider changing it once it has completed 8 years. Remember that the cleanliness and the life-duration of a mattress are very important for your health. Mattresses that are not kept clean can have ticks growing under the upper cover. Moreover, it can be hiding other insects or harmful bacteria. This is why you should keep your mattress clean and consider cleaning it frequently. Furthermore, do not buy mattress from secondhand sellers as you cannot know how old a secondhand mattress is, neither can you check how clean a mattress is. Many a times, secondhand mattress are renewed with a new mattress cover while the mattress is old and not in good condition. These are a few precautions that you should keep in mind while buying a mattress. Buy mattress from authentic brands only such as Xidengbao. There mattresses have high quality and they are durable as well. Let us now move to the types. Innerspring mattresses are one of the most common types of mattresses. They contain a metal spring in their structure that gives ultimate support to the body. However, this type of mattress is not always designed effectively and sometimes its structure can become painful after some years of use. So if you are choosing this type of a mattress, make sure it is from a reliable brand. 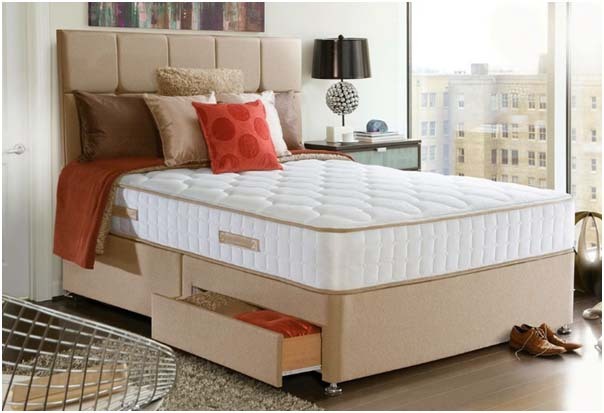 Water bed mattresses are the type of mattresses that are integrated with a water chamber that can either be designed to let the water flow throughout the mattress’s structure or it can restrict the flow as well. Memory foam are the mattresses that has the ability to remember your sleeping habits and adjust accordingly. They maximize the comfort by conforming to your sleeping style. They are somewhat similar to gel mattresses and are considered best for side sleepers. Airbed mattresses are similar to waterbed mattress and the only difference between these two types is that the chamber of airbeds is filled with air instead of water. Gel mattress have both foam base and a layer of gel in their formation. The gel makes the mattress more comfortable for the sleepers as it adjusts according to the body shape and sleeping habits of the sleepers, allowing them to have highly comfortable feel.